There’s a questline in Krokuun where you take down the big bad in Nath’raxas Hold, and right after you do that, there’s an awesome cut scene. 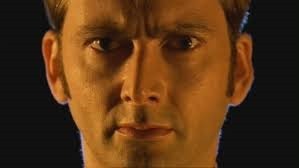 After that, there’s this awesome cut scene. I’ll put in a break to keep from spoiling it for anyone. 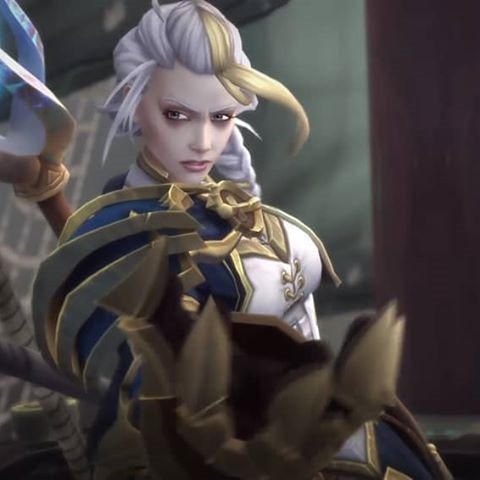 Xe’ra should learn the meaning of "consent"
You may have seen the cinematic that deals with “The Fate of Xe’ra”. Here’s a link if you want to watch. Note it contains spoilers for the Argus campaign, which you may wish to experience in pristine purity of the pure. In which case, close this article now and come back when you have been pristinely enlightened purely. After Kil’jaeden is defeated, Illidan uses a magic crystal to open a portal between the worlds so that they (and, presumably, we) could get back home. But, what’s that saying? A door swings both ways, I blieve? While we could see Azeroth from over Argus … we can see Argus from here! Initially, only those that brought down KJ in raid could see it, but this Tuesday, they opened the final wing of The Tomb to use LFR-ers (uh, “Raid Finder”, they say over at Blizz). And on that magical day, Argus appeared everywhere. Except for Northrend!Dalaran. Be warned! Lots of pics and a video below! The old capitals had a good view. But, sadly, Exodar missed out again. And while I couldn’t see it from Northrend!Dalaran, other places in Northrend had a good view. Even Pandaria had a good view, now that the mists have cleared. And, in case you haven’t seen it yet, here’s the cinematic that explains this little bit of fel candy in our skies. Spoiler alert … this is the end cinematic from the Sargeras fight. Don’t watch it if you don’t want spoilers. So, apparently when you go to do the Exodar scenario, in the final battle with Rakeesh, two of your class hall peeps show up. In this case it was an Orc warlock and a demon. Sometimes doing the right thing involves very strange bedfellows. Really not sure how many famous Hunters there are out there, but I can count the ones I know on one hand. There’s Sylvanas, who now works for the opposition party, there’s her sister Alleria, missing in action, there’s Rexxar, who we’ve met recently on Draenor, there’s Flintlocke, who’s more associated with the engineering arm of the world these days. I’m sure there are others, but when reading the annals of our history, it’s those priests and paladins and mages that hog all the glory, apparently. You might say the Lodge of the Hidden Path was well-named. That being said, we’re tasked with filling our ranks with famous members of our chosen profession, which means a Hunter Road Trip or two. Well, Rexxar wasn’t actually that far away. Just over the hill from the Lodge, in fact. I’m not saying that he was being obvious or anything, but if your goal is to go Native and live off the land, camping out in you’re parent’s back yard is hardly “roughing it”. I’m sure the Lodge just nodded and smiled so as to humor him. Hilaire, on the other hand, is one of those outright obscure cases that really did get a bit off the beaten path. I guess someone thinks she’s famous, but that someone is probably from The Broken Isles. Not much about her ever made it down Dun Morough way. I can’t say I am surprised. You really can’t hold a high standard up to an organization that is putting me in charge of things. It has the tangy scent of desperation about it. […] our credo: Sic gorgiamus allos subjectatos nunc. ‘We gladly feast on those who would subdue us.” Not just pretty words. At this time, the upcoming (in Legion) resource for Shadow priests is labelled “Insanity”, which has made role-playing and mogging for my Shadow spec a lot easier. For the longest time, I’ve had issues locking on to “the fantasy of” my class. Since they, too, seemingly wielded Shadow magic, I often looked to Warlocks as a handle to hold on to, however unrelated in origin they might be (Shadow Priests, for example, predate Warlocks on Azeroth. But they’re a lot easier to get a handle on from an RP perspective.). But the new resource flipped some switches and caused the class to sprout all sorts of handles. So now, at least mog-wise, I have a bit of a role model. Basically, I’m going for this. One of the highlights of Morticia’s outfit is the low-cut slinky dress. To that end, the Warlock Arena Season 11 piece, (by way of Cynwise), would have been perfect. Unfortunately, it can only be purchased by Warlocks, much less worn by or used as mog fodder by. So back to square one. The good news is that I did find the Thistlefur Robe via MogIt, and it is pretty much everything I want it to be. For the head piece, I’ve elected Circlet of Transcendence, and for my stat stick, Terestian’s Stranglestaff (There’s a similar looking quest reward in Vash’jir, but who has time for that nonsense?). That leaves the shoulder piece. I was dearly hoping for some sort of raven-feather pauldrons, but to date all I’ve found are Druid (leather) pieces. There are a few spikey variants but I really don’t feel this addresses the Shadow idiom properly. Raven feathers would be ideal, given the one or two raven-oriented spells we have, but something tentacle-y would work as well. Until I find something more appropriate, though, I guess I’ll go with the Pauldrons of Transcendence piece, if for no other reason than it goes with the head piece and we all know Onyxia was a little wobbly in the attic. Her dad certainly was affiliated with the Old Gods, so it’s fitting. Anyway, her’s the projected trajectory for the two selves of Jasra at the moment. The RP-breaking part of WoW in this situation is dual-spec. Jasra the Disco priest inhabits the same body as Jasra the Mad. While many will agree that anyone that volunteers for healer duties is absolutely insane, that doesn’t really work well in this particular RP dichotomy. Well, that’s on me, I suppose, especially when you realize that even being able to swap specs at all is kind of RP-breaking. So I should probably shut up and go back to grinding Apexis dailies. That is, in a word or two, total felgercarb. Difference 1: The invasion didn’t happen. You can say what you want about similarities between the two timelines in terms of the Orcs drinking the Blood of Mannoroth, but the fact remains that the invasion failed miserably. There is no chance they can reopen the portal as designed since its main power source is at large and in charge and, given his general craven attributes, unlikely to lay it all out for the Team again. Pouring through requires something to pour. In case you missed it, we’ve decimated the Iron Horde. The only way that any pouring will take place will be a massive retcon of the most recent two patches’ data. Difference 2: There is no newly minted Lich King. Now … I will grant that the ultimate disposition of [REDACTED] is up in the air after what Archimonde did to him. And I’m pretty sure that the core Metal Head Blizzard Design Bureau has a massive hard-on at the mere thought of reimplementing the Lich King. But at the current point, there is no prospect for a new Lich King on Azeroth nor is there even a likely prospect. I will speculate, though, that the two things that give the Metal Head Wannabee Squad the most massive thrills of all are The Lich King and The Burning Legion. 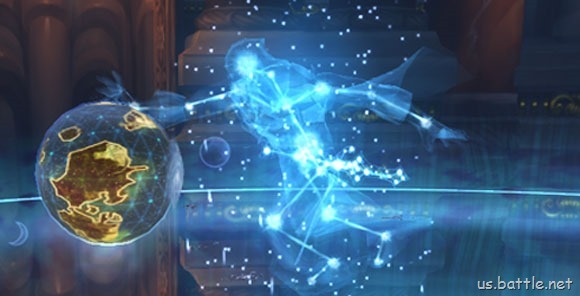 The plight of [REDACTED] and the questionable status of Khadgar points primarily at the latter, but I’ll concede that the former is still the most likely candidate for the next expansion’s theme. A reborn, refactored Lich King getting loose on main!Azeroth would play merry hob with things, give the Blizzard Metal Fanboy Squad something to stroke off to, and revisit the one expansion that most people like the most. And it’d give them an excuse / opportunity to revamp Northrend if they felt so inclined, though I’d prefer to see at least a HINT of originality (not holding my breath). It is important to remember, though that the Orcs were not the endpoint of the Invasion. They were merely the opening act. WoW is in a similar position to a lot of high / gothic fantasy and terrestrial MMOs, in that adding new play areas is often a case of the game designers pulling new zones out of their metaphorical asses. WoW is in a lot better position than most in that there are plenty of other canonical worlds out there, though oddly they’d rather go the time traveling grandfather killer route than actually explore those other worlds ((And if you take that to mean that I think that the WoD premise is just plain lazy storytelling, you might be onto something.)). And they said his predecessor was grim. While I usually look forward to exploring other worlds, the thing I actually am enjoying when I do that is the exploration of new zones, regardless of where they are, and the discovery of fun things. But I’m very sensitive to the harmony of the zone with the established dogma of a fantasy world, and I often feel the “new world” approach is very disharmonious with the established dogma when it comes to my completionist makeup. What is he going on about? 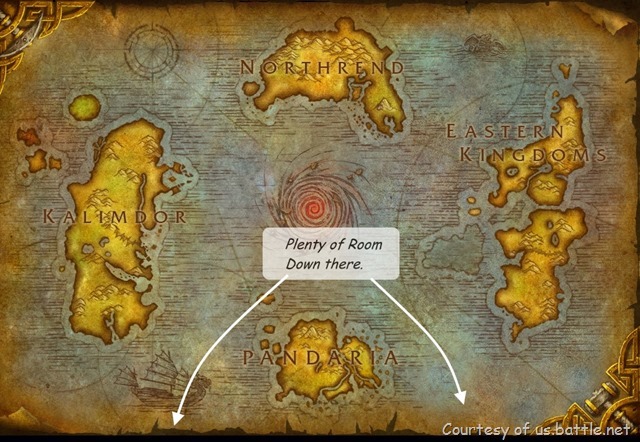 Let me put it all out there: I think that the three worlds we know now – Azeroth, Outland, and Draenor – are only partially explored, only partially revealed to us. Draenor and Outland are, at this point, only conjecture on my part, but it’s common sense. 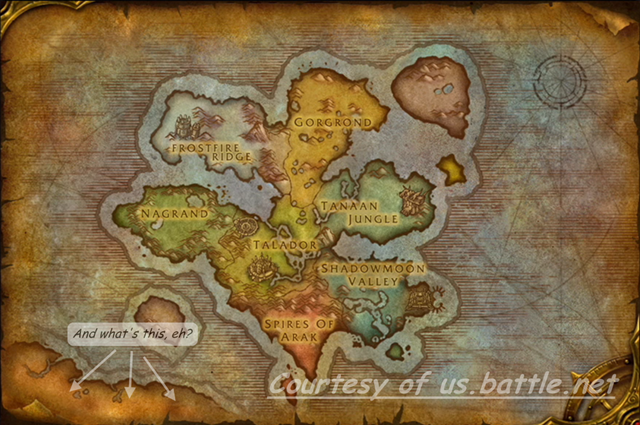 Looking at the tiny island that makes up what we know of Draenor, there are only two possibilities. The first is that Draenor as we know it is a speck of land half the size of Khaz Modan and an ocean the size of Azeroth. The other possibility is that Draenor as we know it is just one land mass among many, that the world of Draenor is largely unexplored by ourselves. This does of course open all sorts of possibilities, including lost tribes of Draenei, Orcses, Ogreses, and other denizens of Draenor that we have either encountered or been hinted to. Honestly, they might be trolling us already. And since Draenor as we know it is the bedrock upon which Outland is built, that also means that for every lost continent of Draenor, there is a possibility of the same lost continent of Outland, only with more shatteryness. For lore purposes, it also opens a lot of possibilities since we have 35 years of Azerothian lore on that shattered land mass and its supposed compatriots. Alleria‘s gotta be hiding somewhere, right? But what I’m getting at is this. Azeroth only makes sense, from a climatic point of view, if you assume that it is only half explored. Kalimdor and Khaz Modan make excellent sense climatically if you assume that they are northern hemisphere continents. Both continents are arctic to subarctic in the north, and tropical or arid in the south. Khaz Modan’s northern half is very European, while its south is very tropical. Kalimdor’s northern parts are very North American, and its south is very African – arid, dry, desert. If Kalimdor and Khaz Modan were truly global, you’d expect Tanaris and Stranglethorn and Pandaria to be subarctic at the very least, rather than the tropical – dare I say, equatorial – climates they exhibit. It only makes sense that the equator of Azeroth passes somewhere in the vicinity, or just south, of Pandaria, rather than in between the Arathi Highlands and Wetlands as depicted on some representations. Mea culpa – the possibility that those two continents are northern hemispheric does not in any way prove the existence of one or more southern hemispheric continents. It merely opens up the possibility. It provides an opening into which these land masses could be inserted. For all we know, the southern hemisphere of Azeroth is an empty ocean, devoid of little more than the occasional island kingdom that would provide a content patch’s worth of exploration at most. But there is one or more expansions’ worth of space in this alleged southern hemisphere, and not exploiting it seems to me, as a certain fictional astronomer’s fictional father said, “a waste of space”. There is, however, a solid case against the possible existence of these alleged continents. In fact, there is a solid case against Kalimdor and Khaz Modan being northern continents rather than globally spanning. There are three such cases that I am aware of, in fact. Hard to see detail, admittedly. The first is revealed either when raiding Black Temple, or doing the Warlock “Green Fire” quests. At one point you can look up, and see, in the sky above you, the planet Azeroth. I have absolutely no explanation as to why this is – you can’t see Draenor from Azeroth, after all – and from any other point on Outland, you can’t see it. But from that particular point, you can. And the planet you see shows the two continents spanning the planet from north to south. This makes no sense whatsoever on many levels, but it is there as established game lore, and that’s that. Azeroth, as seen from The Black Temple, has no missing southern continents. It also doesn’t appear to have Pandaria or Northrend, either. So the infallibility index of this sighting just took a dive. If you’re gonna use this sighting as an example of why the North is alone, it needs to at least include all of current lore within it. And the weak tea excuse of “But it was made before Northrend was part of the map” also works for “But it was made before the southern continents were part of the map” as well, now doesn’t it? Dungeon delvers in Ulduar are familiar with the room just prior to Loken’s in Halls of Lightning. It bears within it a holographic representation of Azeroth. And, just like the BT sky-orb, this holo-orb shows no indications of there being more to Azeroth. 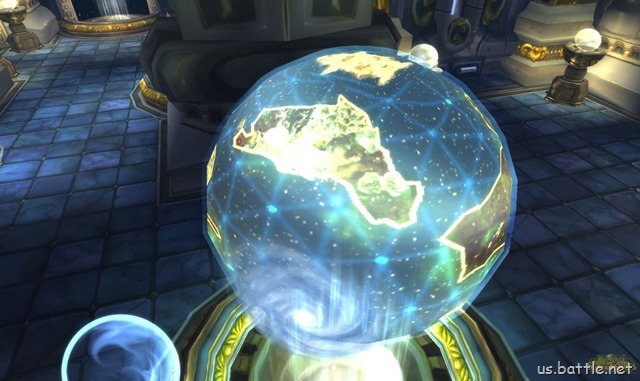 It also doesn’t show Pandaria, so once again we have no evidence that this ancient holo-orb is actually accurate, or if the Titans are trolling us. 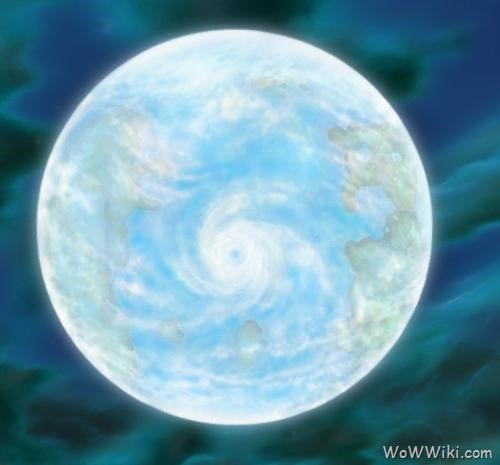 Finally, we have the globe that Algalon uses as an instrument of destruction against Azeroth. Not only does it show no more than the other two representations, it also shows one of Azeroth’s moons as a crescent, which is just weird if it’s supposed to be an accurate representation. Clearly it is not, nor intended to be. The facts are, there is no evidence that there is a southern hemisphere beyond the shores of Tanaris and Uldum. No sign of a missing southern continent. 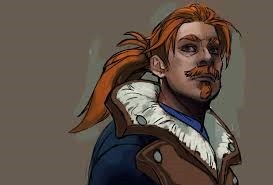 No support for a theory that there is more to Azeroth than we can see right now. But there is also no solid evidence against it, nor against a missing continent (or raft thereof) on Outland and Draenor. All we have is this. in 2007, there was no reason to believe that Northrend or Pandaria were real, and they were not depicted in any available representation. The physical climate of this imaginary world of Azeroth makes absolutely no sense without an unexplored southern hemisphere. 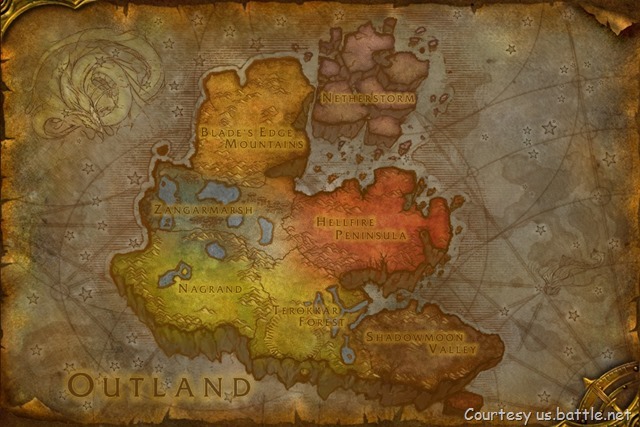 Draenor and Outland are too small to be entire planets. There must be more. We know that Blizz is near the end of its planned story arc for WoW. This arc, so widely known, has proven to be a burden that they’ve fought hard to shake off, coming up with the ridiculous plot of WoD as a way of bucking the system and shaking up our expectations. But even if the next two expansions adhere slavishly to that timeline, there is so much potential left in that prophesied timeline of Azeroth. But imagine an entire set of southern continents equal in size and scope with Khaz Modan and Kalimdor. What might we find there? Feral Elves that predate the Titans? A whole continent of Trolls? What of Draenor / Outland? Might we find an entire land where the Draenei reverted to Eredar ways? Did Turalyon and Alleria start a new Alliance-based ((Did the Alliance as we know it even exist then? This might be retro-futuristic Alliance, if not.)) trade empire just out of sight? Where might there be dragons? A lost Ogre empire? There are clues. That anonymous bit of land to the southwest on the Draenor map. The ports on Draenor! Why build massive ports unless you are trading with people that you can’t reach by land? The stories for these places are completely unwritten. But, like Pern’s “Southern continent”, bursting with potential. I hope we get to see them.